A hundred years ago, a night at the movies meant live music. Even low-end joints had at least a violinist and pianist; grander establishments employed 50-piece orchestras (some of which, by the 1920s, were replaced by massive Wurlitzer organs that supplied surround-sound audio with less manpower). These days, most theaters upsell their couch-coddled viewers with whiz-bang visuals (IMAX and 3-D) and amenities fit for imperial Romans (dinner delivered to XXL reclining seats). Sound seems like nothing special. But decades after the talkie invasion and the mass die-off of silent movies, there are niches where the art of film accompaniment survives. In the Boston area, for example, these movies are shown at university art-houses like the Harvard Film Archive (HFA), or in special screenings at independent theaters. But they’re also shown in retirement homes and town halls and other unexpected corners: for customers at the Aeronaut Brewing Company, silent films are served alongside IPAs as a hipster novelty; for members of the New England Vintage Society, watching a Harold Lloyd classic after their annual Jazz Age ball, they’re a portal to a more graceful era. The silent-movie scene is a surprisingly diverse ecosystem, and its members aren’t shy about approaching the accompanist afterward to say the music was too loud, or off-cue, or contained an anachronistic melody. When he started graduate school, Martin Marks thought he would study Beethoven or Schubert ("my first loves in classical music"), but quickly got hooked on silent-film scores. 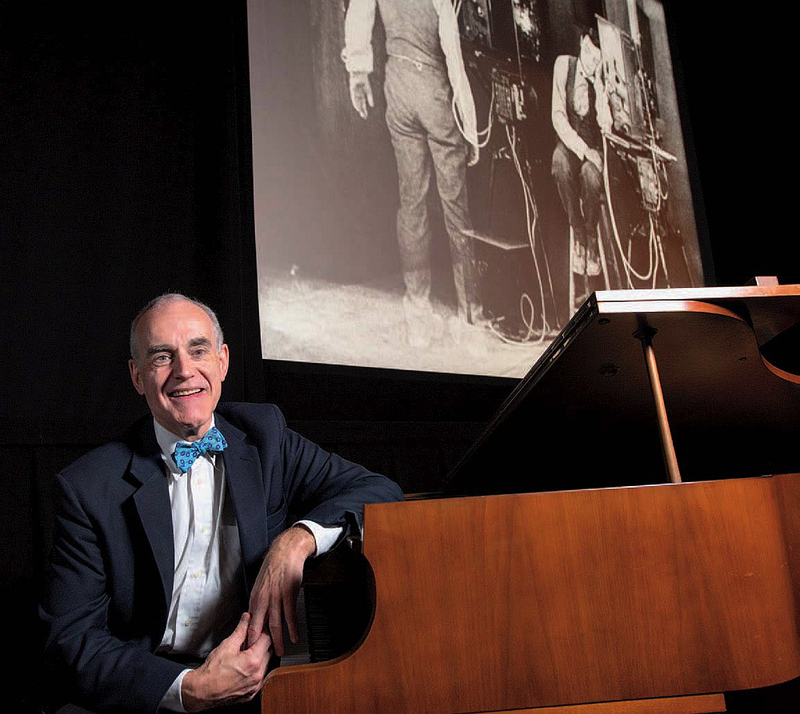 Marks’s painstaking approach is an outgrowth of his scholarship: now a musicologist at MIT who has published widely on film music and contributed to DVD anthologies of classic movies, he started accompanying film while in graduate school, when the HFA’s first curator asked him to supply music for Lubitsch’s Lady Windemere’s Fan. Marks likes to pair a film with its original score whenever possible. But at other times, much like the theater musicians of yore, he draws from his extensive repertoire of “incidental music” (short pieces whose titles range from “Andante Agitato, Number 23” to “At the Rodeo”), filling in a “cue sheet” of scenes and music that guides him through the film.